In 1994 Czeslaw Slania's engraving talents came Down Under. 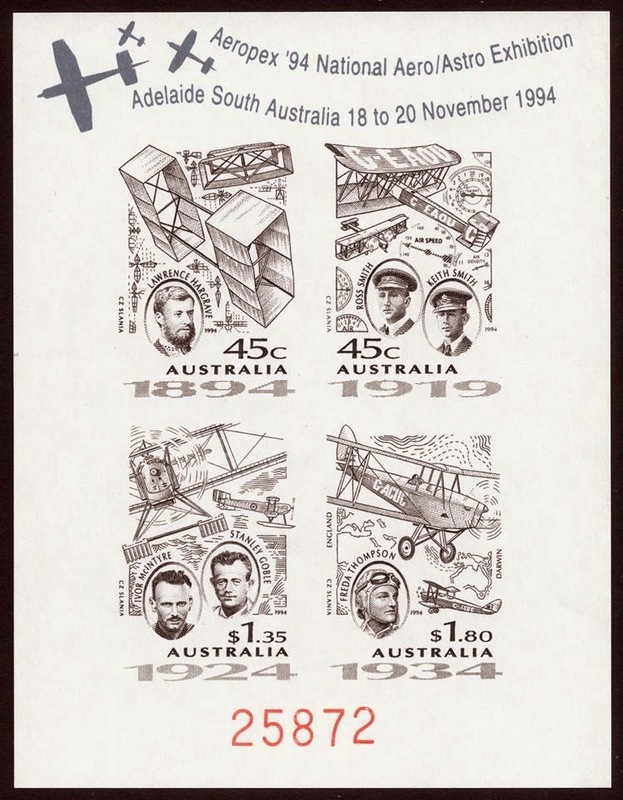 He engraved a superb set of four stamps commemorating some of Australia's great Aviators. This set was issued on 29 August in three denominations: 2 x 45c, $1.35, $1.80. 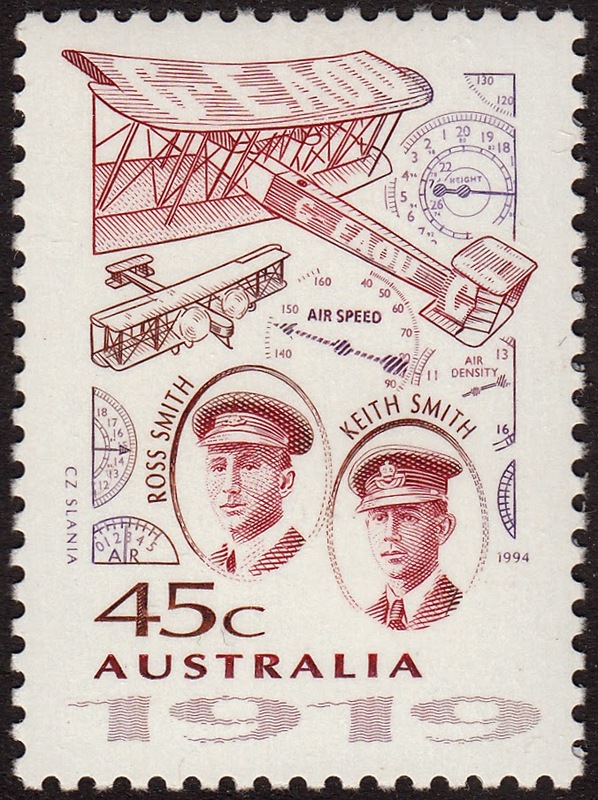 The first stamp depicts Capt. Ross Smith and his brother Lt. Keith Smith. 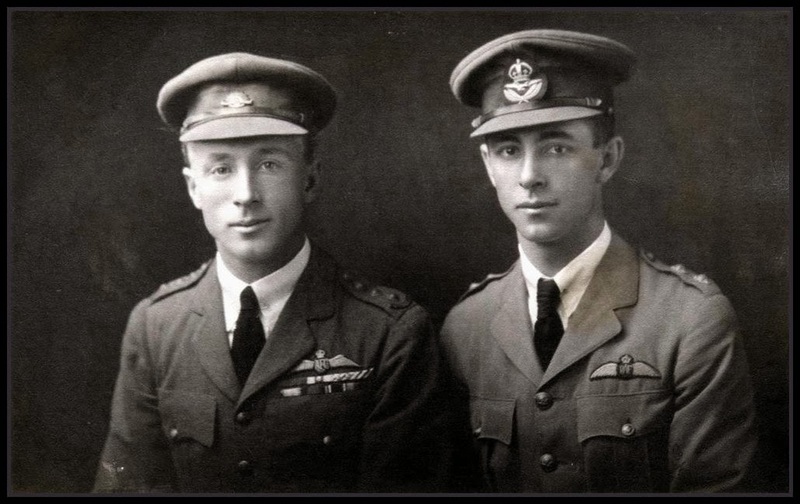 In 1919 the Ross brothers completed the first flight from England to Australia in a Vickers Vimy. 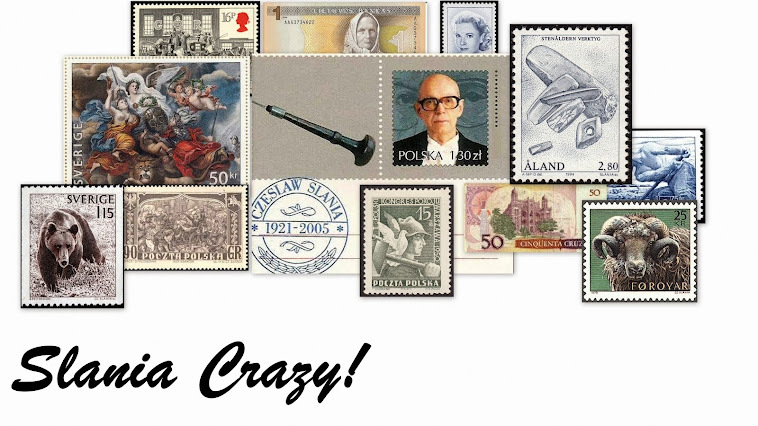 The next stamp depicts Lawrence Hargrave. Hargrave was a talented engineer, inventor, and aeronautical pioneer among other things. Alongside Hargrave on the stamp is a box kite. Hargrave designed a box kite large enough to allow him to sit in. 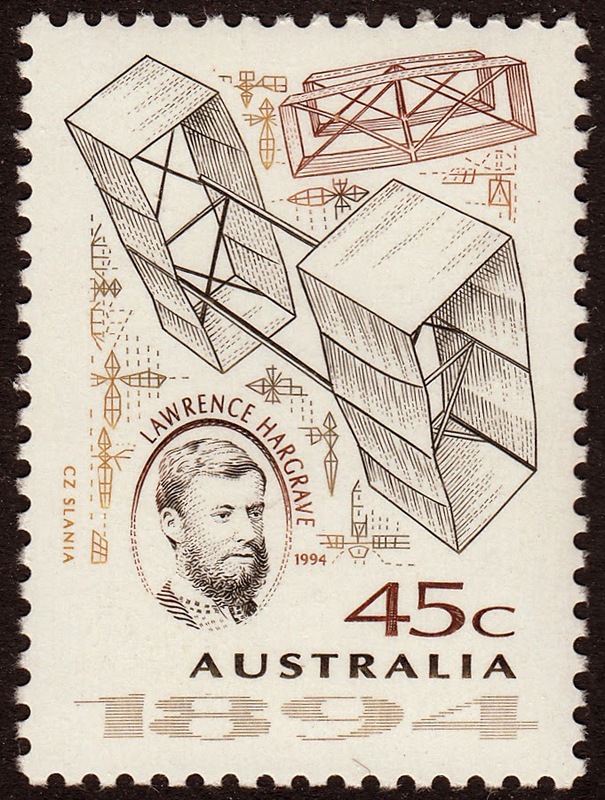 On 12 November 1894 Hargrave climbed into the box kite, and he was lifted a whole 16 feet off the ground! Hargrave also featured on the 20 Dollar Australian banknote from 1966 to 1994. 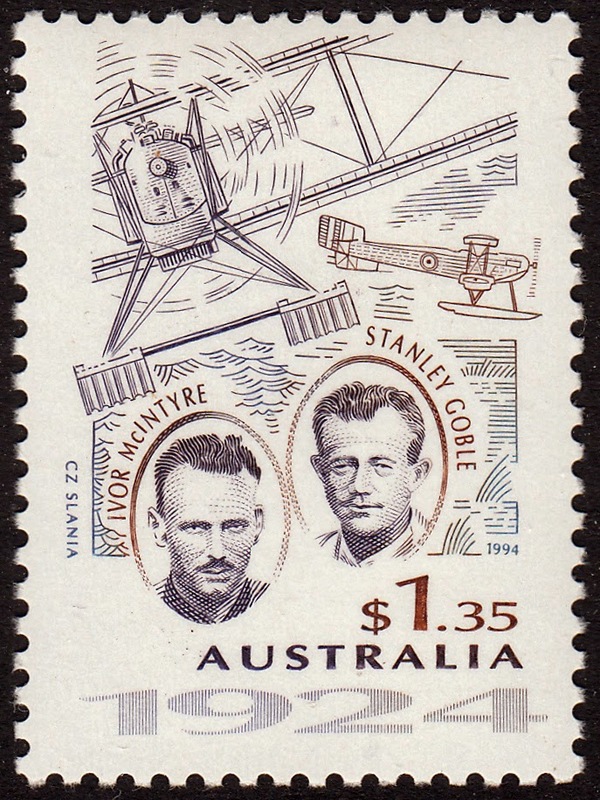 The third stamp - $1.35 - depicts Ivor McIntyre and Stanley Globe who in 1924 were the first men to circumnavigate Australia by air in a Fairey IIID seaplane. The fourth stamp - $1.80 - depicts Freda Thompson. 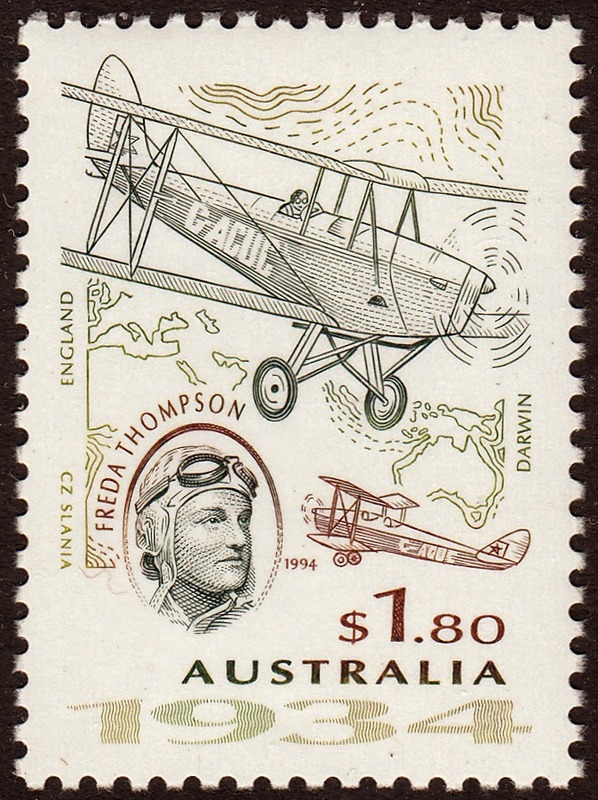 Thompson was the first woman to fly solo from England to Australia in 1934. She accomplished this feat in a De Havilland Moth Major that she named Christopher Robin. My First Slania Bargain...I Think?